The PSA...Who are they? What do they do? How do they do it? Can I be part of it? The P.S.A. is a thriving body, which plays a significant part in school life. Its aim, ‘to further the wellbeing of children in school’, is met in many ways. The social events, which the P.S.A. 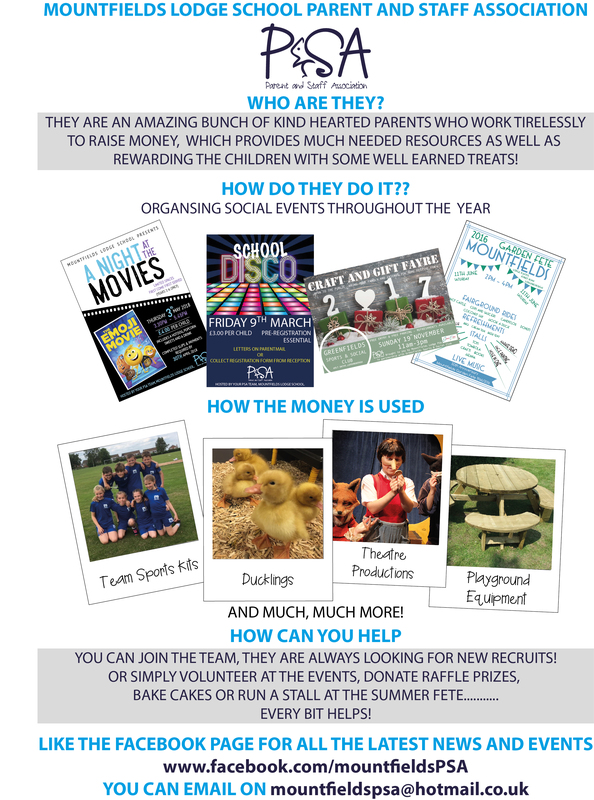 organise, are very well supported and are aimed to help strengthen links between home and school, as well as raising valuable funds. Parents are encouraged to attend the monthly PSA Meetings without the need to become a committee member. The PSA’s AGM is held each July, and the date for this is circulated in advance. The P.S.A. has helped to pay for the Computer Suite, purchase books, outdoor seating, wet play equipment, the tyre park, KS1 outdoor play equipment, equipment to help children with Special Educational Needs and funded special school events such as theatre and author visits. Their most recent projects have been to financially support the purchase of new staging for school performances and support of the re-development of the Foundation Stage outdoor learning and play area. The P.S.A. forms a strong bridge between school and home and everybody has an opportunity to get involved. The PSA annual Garden Party took place on Saturday 23rd June. It was an amazing event that just couldn't have gone any better. The PSA simply want to say, 'Cheers!' and a BIG THANK YOU to all who worked hard on the day and to all who came along in support of the school. 'We couldn't have done it without you! '.